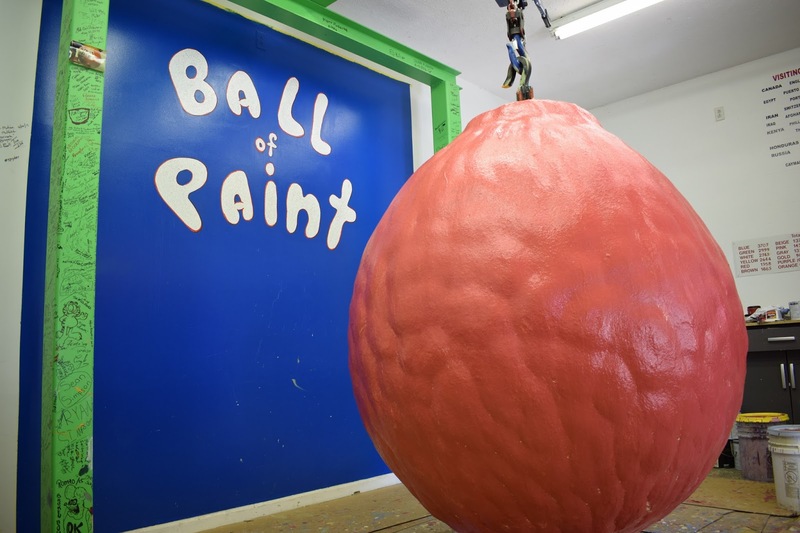 Today, I was briefly a Guinness Book of Records world record-holder: painter of the world's largest ball of paint. 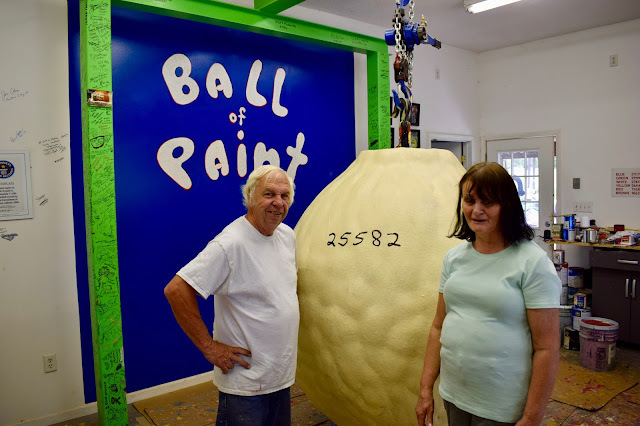 In Alexandria, IN, population 5,145, Michael Carmichael and his wife Glenda are the proud owners of this massive ball of paint. The story of how it came to be is a good one. He one day dropped a baseball in a pail of paint and suddenly became fixated on painting it over, and over, and over again. Soon he had a sizable, 22 lb orb covered in approximately 1000 coats of paint. The original "ball of paint"
A few years later with a new son, he decided to begin the project anew. 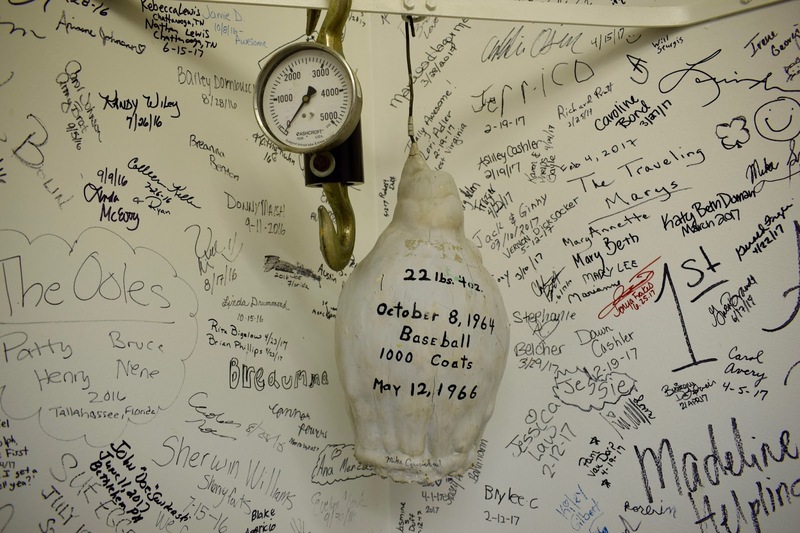 On January 1st, 1977, with his son celebrating his birthday, Michael began the massive project that continues to grow by painting a new baseball. He documented the original layer in a photo, shown below. By inviting family, friends, and visitors to stop by and add a layer of paint, he has spawned a massive project that continues to grow and grow and grow. 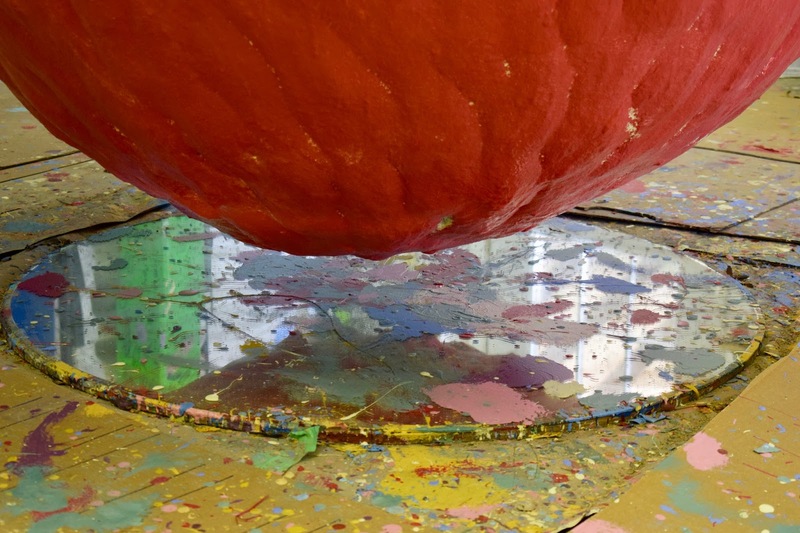 There have now been more than 25,000 layers of paint applied to this single baseball. Its current shape is a result of gravity pulling the massive amount of paint towards the ground, distorting the original sphere of the baseball. 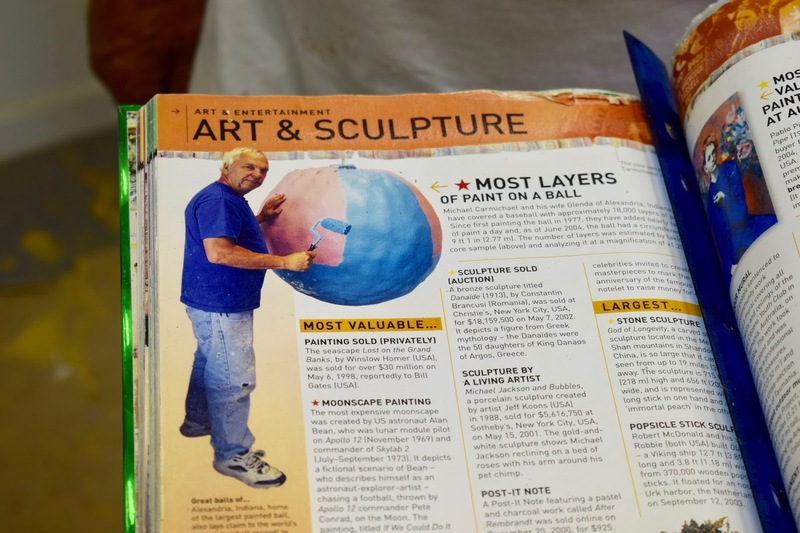 He says that he rolls through pails of paint pretty quickly, but that he is able to keep up with costs via small donations or purchases of the official "Ball of Paint" t-shirts. He was even recognized and sponsored by Sherwin-Williams for a year. He eventually had to build a new shed with a sturdy support to hold the mass, which now clocks in at over 5,000 lbs. 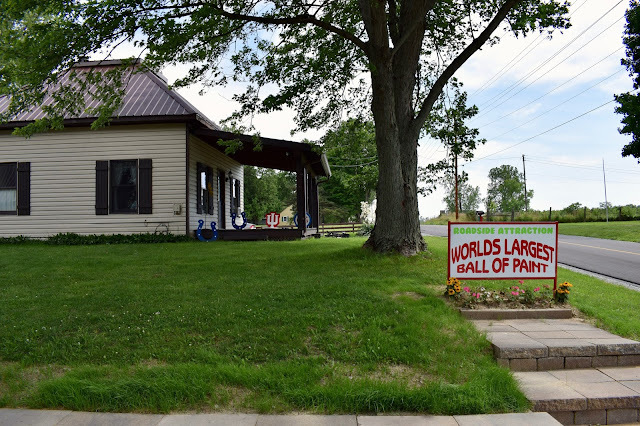 He says that he averages more than 1,300 visitors annually, and that they have already surpassed that mark this year. He says that they have had their fair share of news coverage and celebrities stop by, including Jimmy Kimmel and a number of country/gospel bands that I did not properly appreciate. 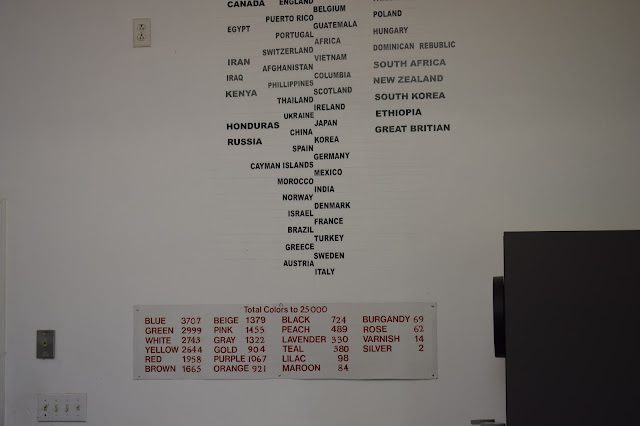 They were incredibly friendly hosts, and I had a great time chatting with them. The unexpected highlight was definitely painting my own layer, #25582, color choice of red. 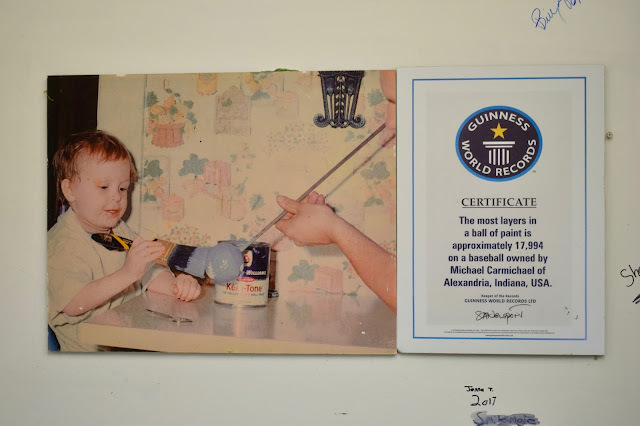 They even provided a certificate showing that I had been a part of the world's largest ball of paint, and the whole experience was really fun. Frankly, the experience had a little bit of magic to it. 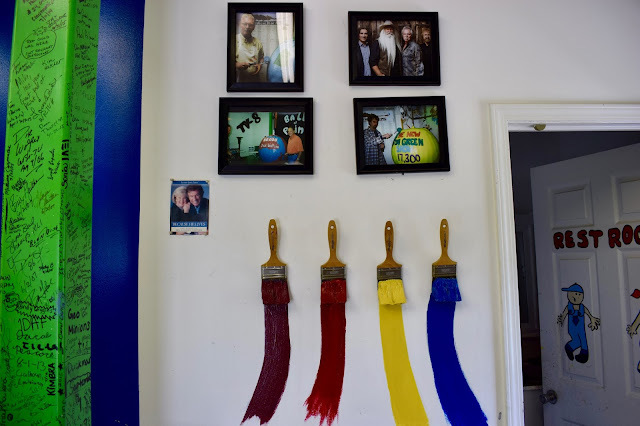 The unabashed pride in a silly, impressive feat that Michael was contagious, and the chance to paint my own layer made me part of the experience for future visitors. If you are near Indianapolis, this would make a great afternoon trip to see a unique part of the American heartland.